NH noticed that the hot dogs weren’t, they came to Deesigned Studio to see if we could figure out why. Aside from not getting warm, the steamer was also tripping the GFI outlet in the kitchen. Strangely, our meter could find no connection between the hot and ground connections, so this was a bit of a puzzle. Finally, taking the thermostat apart, we noticed that it had been arcing for quite some time. 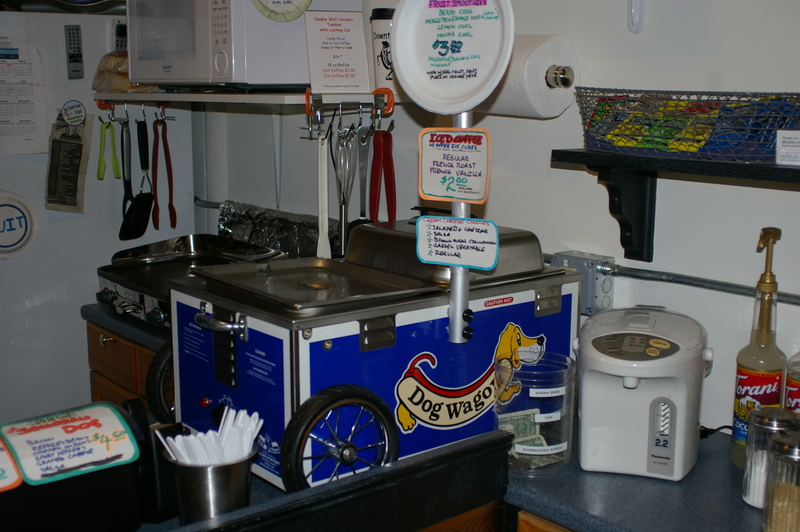 We installed a new thermostat, and the steamer is operating just like new, and hot dog fans in Dover are happy once again! This entry was posted in Repairs by deesigned. Bookmark the permalink.